Once a Project begins, it has sequential stages to go through. The simplest stages could be: Start - Middle - End. More strategic could be: Concept, Proposal, Initiation, Planning, Execution, Monitoring & Control, Closure. My last blog talked to Knowledge Areas (KAs) which are more detailed and help define what areas of work need to be addressed in a project (can can be considered the headings for a Project Management Plan - template). KAs overlap with project Stages and both work together. The stages provide a higher level focus of how to flow through the project as work is applied, and what each stage should try to focus on. 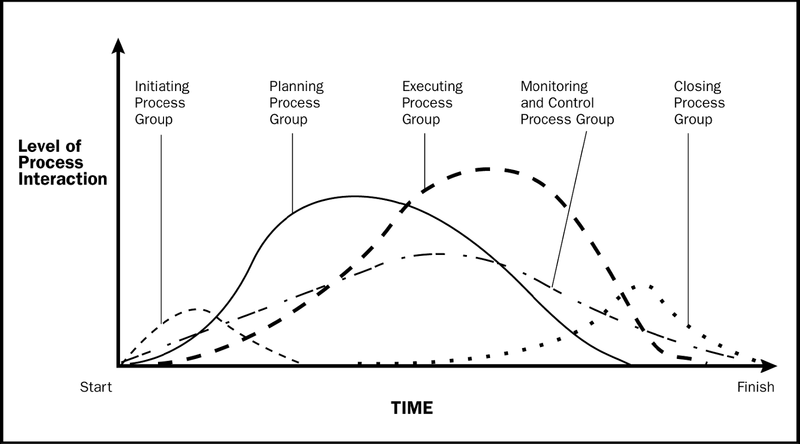 The most common methodology (www.pmi.org) uses Initiation, Planning, Monitoring & Control, Closure. These stages are called "Process Groups". The 6 stages listed above come from the NexLev methodology which focuses additional time and energy in the early stages. This helps to ensure proper strategy is reviewed in a formal manner and as early as possible in the project (spend more time identifying the value and alignment). All project output must be aligned with the company vision, mission, mandate and operations.